Buddhist Weddings are influenced by the Hindu culture which gives prominence to ‘Nekath’, the auspicious times. The ‘Nekatha’ is derived from the horoscopes of the Bride and the Groom which is created based on their dates and times of birth. Of the many traditional events that take place during a Buddhist wedding, the ‘Poruwa’ ceremony is the most important. Therefore it is strictly guided by Nekath. 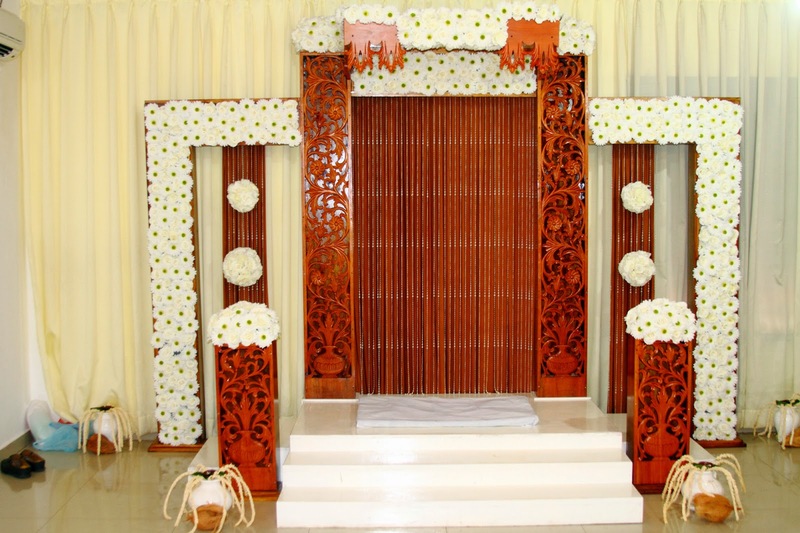 ‘Poruwa’ is a beautifully decorated wooden platform on which the traditional Buddhist marriage ceremony takes place. Therefore this event is called the ‘Poruwa Siritha’ (Ceremony). The Poruwa Siritha (Poruwa Ceremony) appears to have existed in Sri Lanka before the introduction of Buddhism in the 3rd Century B.C. Through the ages, many innovations have been introduced to the Poruwa Siritha. By and large, the men and women of present day society realize the value of their heritage and are motivated to protect and preserve something of their past for posterity. 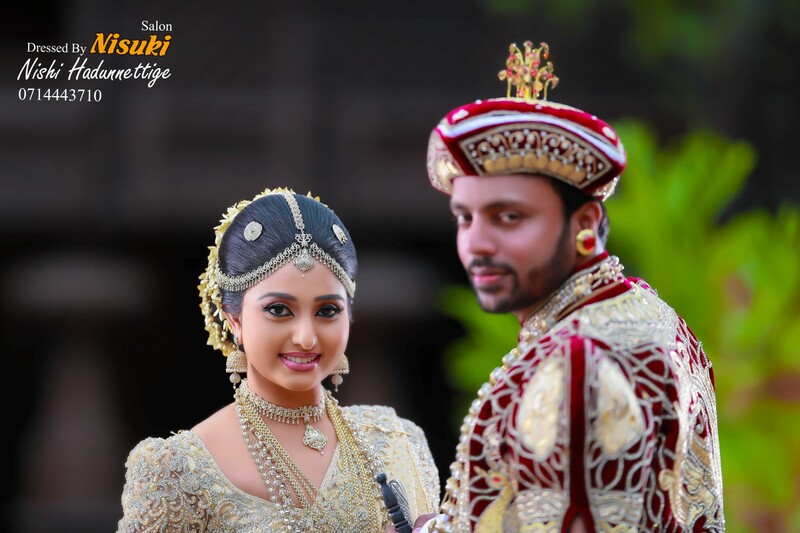 Poruwa Ceremony has been influenced by both upcountry and low country customs of Sri Lanka. The groom’s brother hands a chain to the groom who in turn places it on the bride’s neck. The bride’s maternal uncle enters the Poruwa, ties the small fingers of the bride and groom with a gold thread and then pours water over the fingers. Water and earth being the eternal verities, the water so poured and the earth on which it falls are intended to be the lasting witnesses to the marriage. The uncle then turns the couple clockwise, three times, on the Poruwa. Next the groom presents to his bride a white cloth which in turn is presented to the bride’s mother. This is an expression of the groom’s gratitude to his mother-in-law for bringing up his bride. Next, the groom’s mother will present the going away saree to the groom. The groom hands it over to the bride and she in turn gives it to her mother. The bride’s mother will then present a plate of milk rice and kavum, cooked with special ingredients befitting a marriage ceremony, to the bride who feeds a piece of each to the bridegroom. The bridegroom feeds the bride in return. As the newly weds step down from the Poruwa, helped by a couple from the bridegroom’s party, Shilpathipathi breaks a coconut in two. The bridal couple lights a brass oil lamp to signify their resolve to keep the home fires burning.